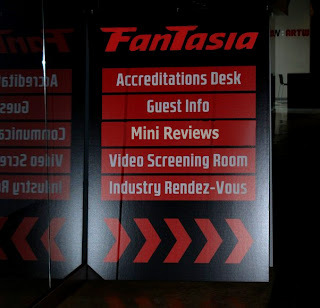 It's the last round of Fantasia mini reviews from Emilie Noetzel before we start filtering in some more full length reviews. Dive in and read up on films you'll want to keep a running list of and seek out when they start showing up in theaters or on DVD! From the provided description, Thanatomorphose “is a French word meaning the visible signs of an organism’s decomposition caused by death.” The lead character in this movie has a simple life in a simple apartment with a douchebag boyfriend who does not treat her right. As her relationship seems to be getting worse, her body starts decomposing. The story is certainly a metaphor for something, but the level of gross that is brought on by the decomposing body of the lead while she tries to survive it takes all attention away from any meaning you may hope to pull forth. The effects are amazingly good and absolutely disgusting. I have seen more than my share of gross out movies and this one has surpassed them all. It is flat out wretched, so much so that the story falls behind this and does not get the focus it deserves. So, if you think you can take the vomit inducing effects and peel away those putrid layers to get to the story beneath, or even easier, want those effects alone, go for it. All of weaker nature should avoid. The only documentary I have seen this year as part of Fantasia International Film Festival. It is about the era of movies on tapes, what brought them forth, what happened to them, and the nostalgia movement behind it. People collect VHS tapes like they are worth a fortune, thus making some of them, indeed, worth a fortune. Collectors love the nostalgia but also the fact that some movies can only be watched on VHS tapes. The documentary is very informative while also entertaining. If you were born during or after the era of the videotape, you may learn a lot from this documentary in which professionals of the video releasing industry, stars of videos, specialists, and lovers of the tapes are interviewed. Some may think this is for hipsters with nostalgia issues, but it is a very informative documentary where even I, who have lived through the era and remember it as well as read about it, have come away with new knowledge of why this technology came about, why it ended, and why it can never surface again. 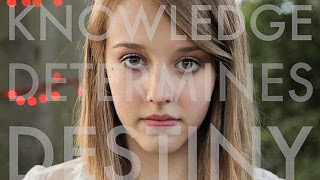 Labeled a “Scientific-Philosophical romance” this movie follows a group of youths in England through school and post school life in a world where people are categorized by their frequencies and intelligence. The leads learn of a system to control these frequencies and utilize them for their own ends. This leads to a wider use and more discoveries. The movie is extremely well made, the story makes senses, the acting is superb, and most importantly, the developments are realistic in the world in which the movie is set. OXV is more than worth a watch, so seek it out! It will touch you and make you think, a rare trick these days. A must see movie if you like intelligent romance and love to ponder the future. A young man who has lost people in his life decides to end it all ...or at least help others end it all. He wants to help people cope, and so he does. This may sound sad but the movie approaches this in a way that is not all that depressing. Love Eternal is a beautiful story about life (and death) and may make you think about why some people don’t cherish life.. and if your life is as bad as you think it is. It is very well written, well acted, touching and feels real with no forced agenda. A charming movie. 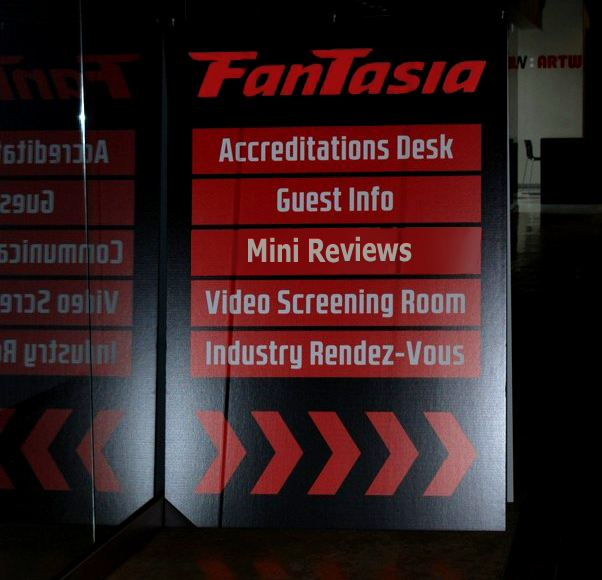 Click here for Emilie Notezel's Fantasia Mini Reviews part 2!